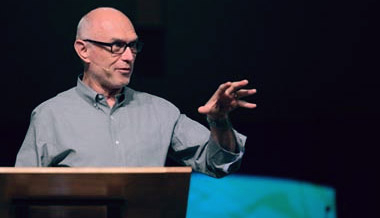 Miroslav Volf was educated in his native Croatia, United States, and Germany. He earned doctoral and post-doctoral degrees (with highest honors) from the University of Tuebingen, Germany. He has written or edited 15 books and over 70 scholarly articles. His most significant books include Exclusion and Embrace (1996; winner of Grawemeyer Award in Religion, and one of Christianity Today’s 100 most important religious books of the 20th century); After Our Likeness (1998) in which he explores the Trinitarian nature of ecclesial community; Allah: A Christian Response (2011), whether Muslims and Christians have a common God; and A Public Faith: On How Followers of Christ Should Serve the Common Good (2011). He is actively involved in many top-level initiatives concerning Christian-Muslim relations and is a member of the Global Agenda Council of the World Economic Forum. Miroslav has given many prestigious lectureships including the Dudleian Lecture, Harvard; the Chavasse Lectures, Oxford; the Waldenstroem Lectures, Stockholm; the Gray Lectures, Duke University; and the Stob Lectures, Calvin College. He has been featured on National Public Radio’s Speaking of Faith and Public Television’s Religion and Ethics Newsweekly, as was a keynote presenter for the Trinity Institute’s 36th National Conference, “The Anatomy of Reconciliation” (2006). Miroslav Volf encourages us to see beyond our normal ways of seeing. Miroslav Volf on whole scale economic transformation redesigned from a Christian perspective.